2nd to 12th February 2018. It's a 1 vs AI or 2 player game based on original Atari 2600 game 'Combat' [https://en.wikipedia.org/wiki/Combat_(1977_video_game)]. This game was tested on a current Chrome and Edge browser and requires a gamepad for each player to play. The XBOX 360 controller is strongly suggested to make use of the correct mappings with it. 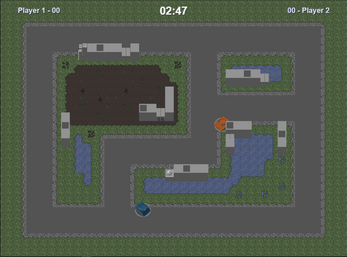 The game consists of 5 levels and there are some settings available at the round start to include optional mods to the gameplay. PLEASE NOTE: There is a sound issue while playing the game within the Itch.io Game Launcher but starting the game directly from the game page works fine. - Enhanced the title screen display. 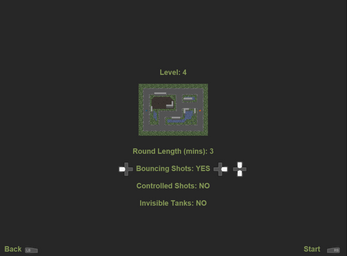 - Added configurable round duration of 1 to 15 minutes. - Increased score display from 2 to 3 digits due to longer play times available and resulting higher scores possible. - Reduced round reset duration until playing resumes within the round. 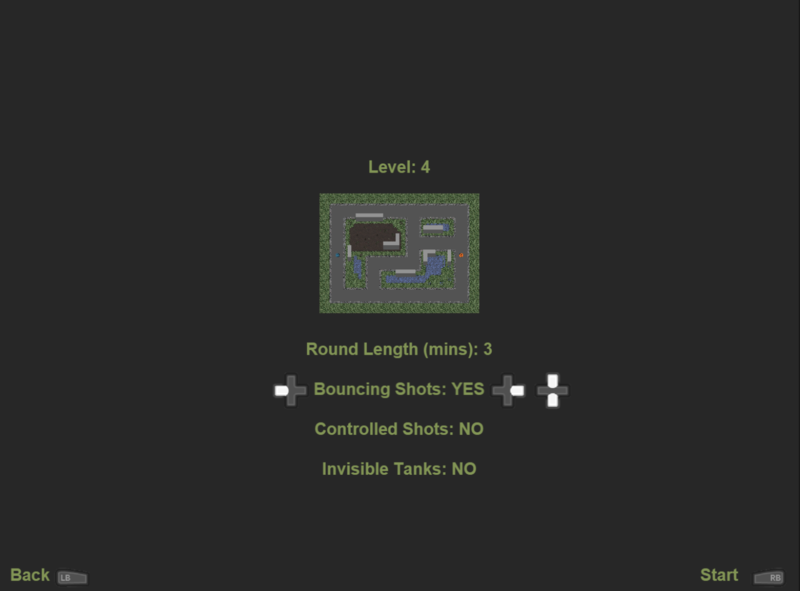 - Added shooting sound for AI tanks. - Enable AI tank velocity-based movement sound. - Enhanced AI behaviour for more interesting initial movement to position. - Enhanced bullet bounce modification. Tested on Chrome and Edge browsers using an XBOX 360 controller only. Requires a controller to access. Access the link through a browser to start.